So here I am in S.E Asia. After what was a pretty crappy year in many ways, I decided to put the lessons I learnt in a backpack and head off to have the adventure I would so often day dream about back in the UK. So far I’ve spent time in Cambodia, teaching English with an awesome charity, seen and held creatures & critters I’d only even seen in books, and met the most amazing people. I’ve been on beautiful Thai beaches and swam alongside the exotic fishes, as well as visit the crazy big cities. Every day brings something new, for those of you a little scared to do it, I was completely terrified, however I’m absolutely fine and loving it! And best of all, I still have no flight home booked! 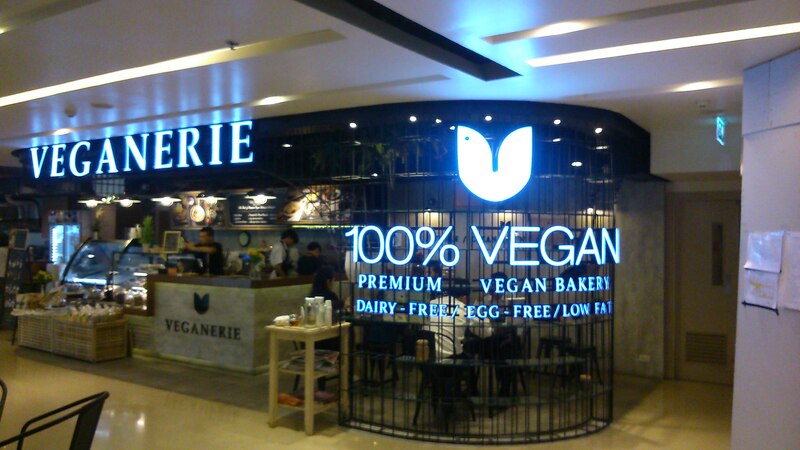 Vegan or not, this place is awesome. The menu is full of desserts, first you are eased in gently with the Healthy Parfait, yogurts with fruits and granola, overnight oats as seen constantly on instagram, fruit smoothies & fancy pants topped toasts. But if you are like me you’ll skip through that, lovely as it is, to the “hot dishes” with brownie sundaes, apple crumbles, & six different types of waffles…. Banoffee Pie, Cheesecake, Brownies and much more..
After a period of careful thinking I’m eating the chunky monkey. 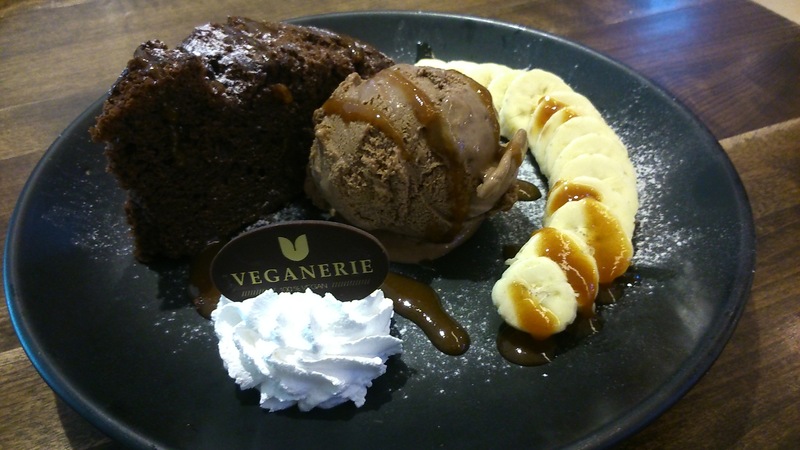 Fresh chocolate banana cake, ice cream, whipped cream & caramel sauce..It’s as good as it looks in the photos! I love the little chocolate detail too. After that I decide to leave for a bit of shopping around the air conditioned malls. Dessert is still on my mind a few hours later so I pop back, collect the blueberry topped cheese pie for the morning after a night on Khao San Road. 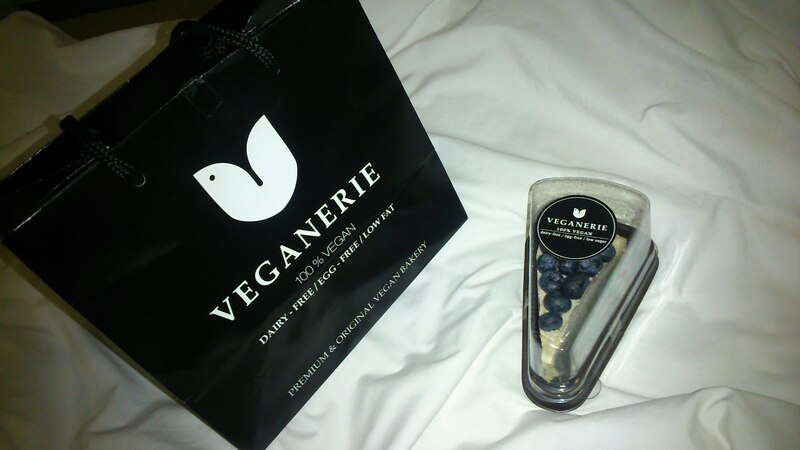 This is also so yummy, and it came in the cutest little bag! So there we go! 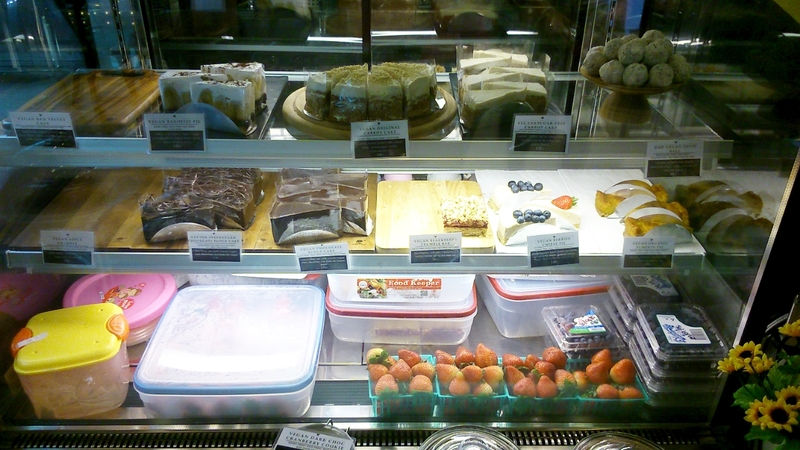 Tasty treats, and everything is reasonably priced. 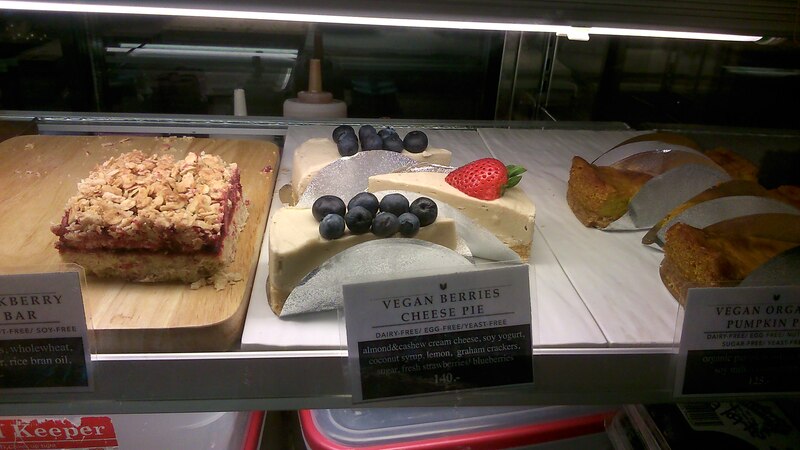 Expect to pay around 3-4 British Pounds for a dessert. These guys also have a facebook page and can be found on IG, so just search for the name. Wonderful! So sad I missed this place.. It is looking amazing Katie! 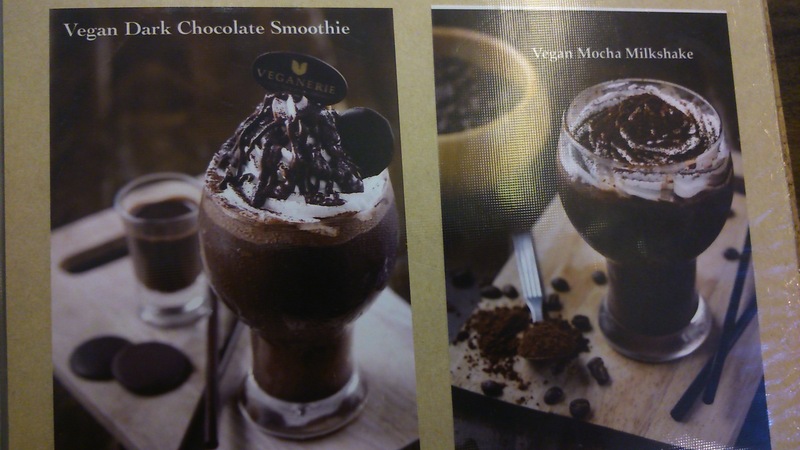 I wrote about Bangkok (and the places I ate at) on my blog https://veganbackpacking.wordpress.com/2015/01/20/vegan-food-bangkok/ 🙂 Save travels!